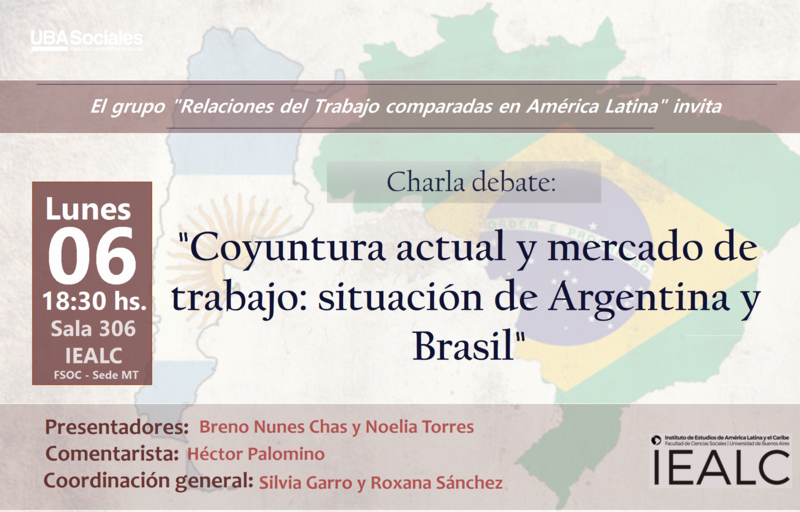 El grupo “Relaciones del Trabajo comparadas en América Latina” coordinado por Silvia Garro y Roxana Sánchez, perteneciente al Instituto de Estudios de América Latina y el Caribe (IEALC-UBA), invita a la siguiente charla / debate: “Coyuntura actual y mercado de trabajo: situación de Argentina y Brasil”, a realizarse el lunes 06 de agosto a las 18.30 hs en la sala 306 del IEALC (Marcelo T. de Alvear 2230). 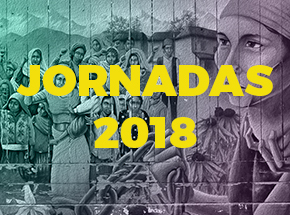 La actividad es abierta y no requiere inscripción previa. Thank you for some other great post. Where else may anyone get that type of information in such an ideal approach of writing? I’ve a presentation subsequent week, and I am on the search for such information. Thanks a lot for providing individuals with such a splendid chance to discover important secrets from this website. It is usually very good plus stuffed with fun for me personally and my office fellow workers to search your website not less than thrice every week to study the newest tips you have got. Not to mention, I’m also at all times satisfied with the eye-popping secrets you give. Some 1 areas in this article are really the finest I have had. Howdy I am so delighted I found your web site, I really found you by accident, while I was looking on Digg for something else, Regardless I am here now and would just like to say thank you for a incredible post and a all round exciting blog (I also love the theme/design), I don’t have time to read through it all at the minute but I have saved it and also added in your RSS feeds, so when I have time I will be back to read a lot more, Please do keep up the superb work. Hmm it appears like your site ate my first comment (it was super long) so I guess I’ll just sum it up what I submitted and say, I’m thoroughly enjoying your blog. I too am an aspiring blog writer but I’m still new to everything. Do you have any tips for first-time blog writers? I’d really appreciate it. There are certainly a whole lot of details like that to take into consideration. That may be a great point to convey up. I offer the ideas above as normal inspiration but clearly there are questions like the one you convey up the place a very powerful thing shall be working in honest good faith. I don?t know if greatest practices have emerged round issues like that, but I am sure that your job is clearly identified as a fair game. Both boys and girls really feel the influence of only a moment’s pleasure, for the rest of their lives. 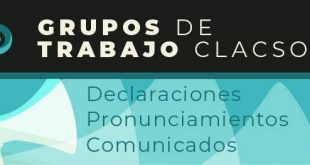 The next time I learn a weblog, I hope that it doesnt disappoint me as a lot as this one. I imply, I do know it was my option to read, but I really thought youd have something attention-grabbing to say. All I hear is a bunch of whining about one thing that you may repair in case you werent too busy in search of attention. Good post. I learn one thing more challenging on totally different blogs everyday. It can always be stimulating to read content material from different writers and practice slightly something from their store. I’d desire to make use of some with the content material on my weblog whether you don’t mind. Natually I’ll give you a link on your web blog. Thanks for sharing. Hey There. I found your blog using msn. That is a very smartly written article. I’ll make sure to bookmark it and come back to read extra of your helpful information. Thanks for the post. I’ll definitely return. I’ll right away take hold of your rss feed as I can not to find your e-mail subscription link or e-newsletter service. Do you’ve any? Kindly let me know so that I may just subscribe. Thanks. Greetings! I’ve been following your website for a long time now and finally got the courage to go ahead and give you a shout out from Austin Texas! Just wanted to mention keep up the great work! This is a great tip especially to those fresh to the blogosphere. Simple but very precise info… Thank you for sharing this one. A must read post! Oh my goodness! Impressive article dude! Thank you so much, However I am having troubles with your RSS. I don’t know why I am unable to subscribe to it. Is there anybody having the same RSS problems? Anyone that knows the answer will you kindly respond? Thanks! !